Join us for a long weekend in the desert! 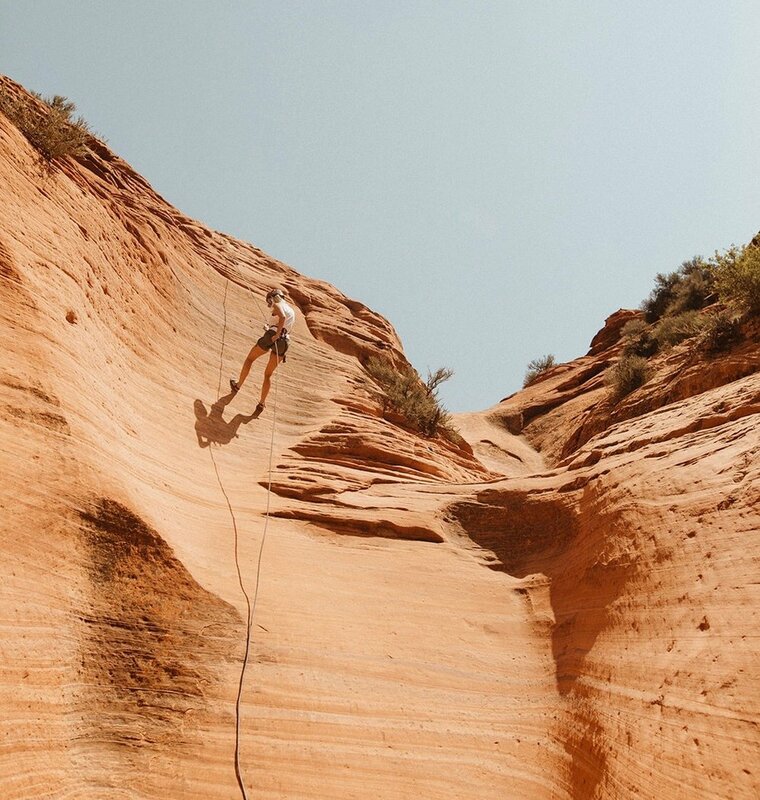 We’ll be rappelling through canyons, practicing yoga, climbing on rocks and eating hearty + healthy meals to fuel all of our adventures. See you there! Zion Ponderosa Resort sits at 6,500′ above sea level. The 4,000 acre ranch and resort is part of a large forested plateau that borders the eastern edge of Zion National Park and just a short drive from Bryce Canyon National Park.